Lakes Erie and Ontario, their tributaries, and the Thousand Islands region of the St. Lawrence River together create the magical flow of New York’s north shore and the greatest freshwater fishery on the planet. The region boasts fish as impressive as they are numerous. Thirty-pound Chinook salmon, smallmouths over five pounds, 20-something-pound northern pike, 30-inch walleyes, steelhead, brown trout and lake trout stretching over three feet long, four-foot muskies and trophy landlocked Atlantic salmon are all available in sufficient quantities to make the chances of catching one a reasonable goal on every fishing trip—if you know where, when and how, which is the purpose of this book. Longtime local angling authority Spider Rybaak details everything the local or visiting angler needs to know, from access points, best fishing seasons, tackle tips, target-tailored fishing strategies, and much more, for well over 100 specific spots in this unparalleled freshwater fishing paradise. 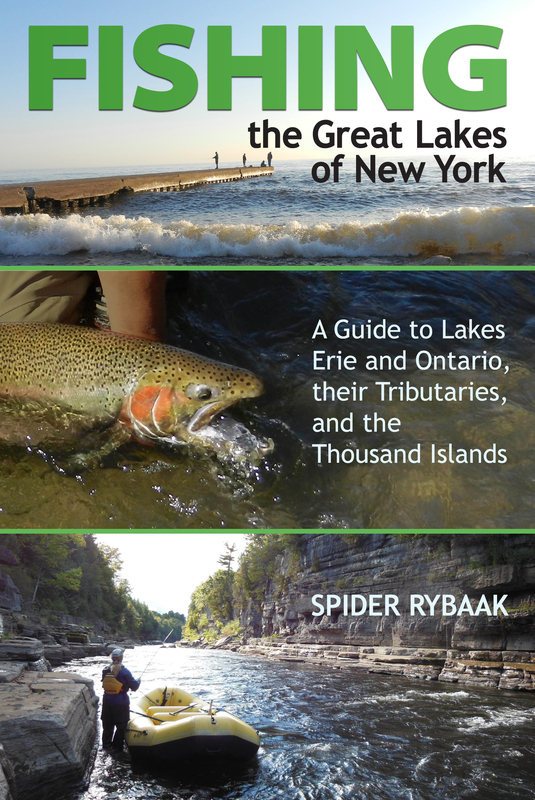 Spider Rybaak writes on angling and the outdoors for the Oswego County Tourism Bureau, lectures frequently on fishing in the area and is the author of Fishing Western New York and Fishing Eastern New York. Spider is the 2013 recipient of the New York State Outdoor Writers’ Association’s “Pass It On” Award, given to an individual dedicated to passing on our outdoor heritage. He lives in Canastota, NY.